Emory's fall sports teams anticipate strong seasons after four out of five squads advanced to NCAA tournaments last year — including both the women's and men's Cross Country teams reaching the NCAA D-III Championships. 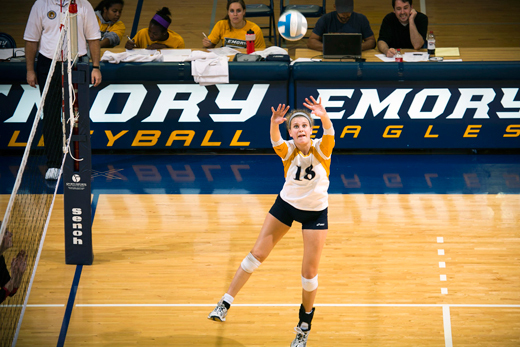 After compiling a 34-5 record last year that included an 18th straight trip to the NCAA Tournament, the Emory volleyball team looks to maintain its status as one of the premier programs in the nation. Head coach Jenny McDowell will have 14 letter winners returning from last season's squad that advanced to the national semifinals, including junior setter Sydney Miles, who captured First Team All-America honors for the second straight season after leading the University Athletic Association (UAA) and ranking 22nd nationally in assists. Seniors Kate Bowman and Leah Jacobs will provide ample firepower at their outside hitting spots while sophomore middle Jessica Holler is coming off a big rookie campaign that saw her garner Second Team All-America acclaim. fashioned an overall slate of 16-4-1, the cupboard is hardly bare for head coach Sue Patberg. The senior tandem of Karina Rodriguez and Charlotte Butker ranked first and second, respectively, in scoring a year ago with Butker garnering Second Team All-UAA honors. Sophomore Hannah Meyer, tabbed as the UAA Rookie of the Year, headlines the defensive contingent that also features junior goalkeeper Liz Arnold, the owner of 15 wins and an impressive 0.46 goals-against average. 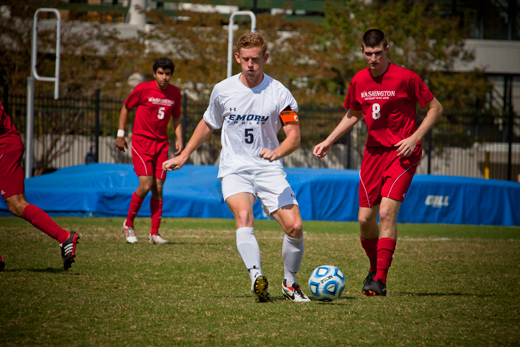 The Emory men's soccer team will look to extend its streak of 12 straight double-digit win seasons while striving for a postseason berth. Head coach Sonny Travis enters his eighth year at the helm of the program with a veteran-dominated squad that wound up 2013 with an 11-5-2 record. Senior Dylan Price is the squad's returning leading scorer after racking up 24 points on the strength of 10 goals and four assists en route to earning Second Team All-UAA acclaim. Senior Noah Rosen looks for a big year on the backline after starting all 18 games last season. Junior Abe Hannigan returns as the incumbent at the goalkeeping position after figuring in every decision and registering a 1.09 goals-against average. 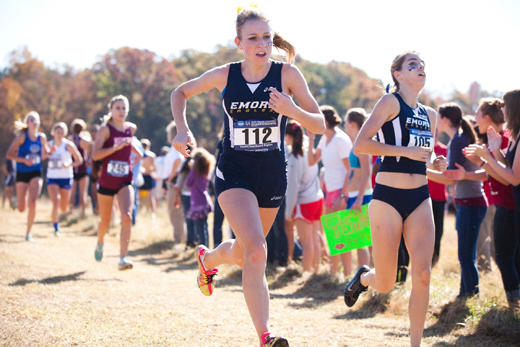 appearance, the Emory women's cross country team eagerly looks forward to the 2014 season. Head coach John Curtin heads into his 29th campaign with a solid group of veterans, headlined by senior Tamara Surtees, the recipient of the program's Most Valuable Runner Award last year after ranking as the Eagles' No. 1 performer in all seven of her races. Junior Marissa Gogniat will be a mainstay in the lineup after earning all-region recognition for the second straight season in 2013. 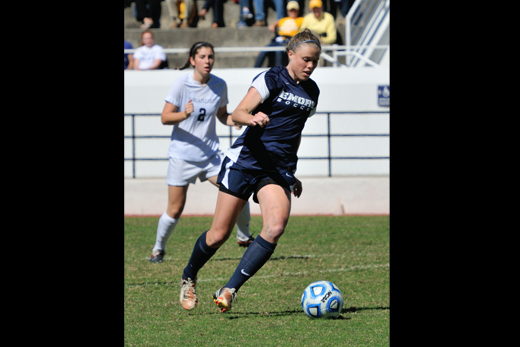 Bolstering the team's fortunes will be the return of senior Stephanie Crane, who has claimed all-region status during her career. The Emory men's cross country team will have a stable of battle-tested performers this year as it looks to make a repeat appearance in the NCAA Championships. 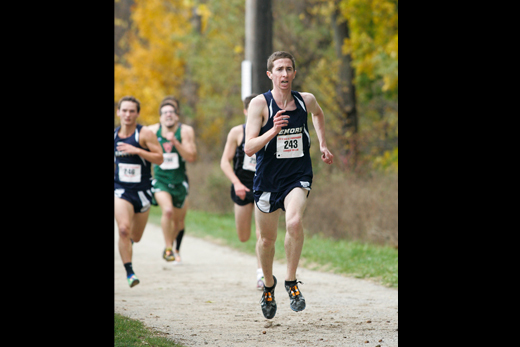 Senior Alex Fleischhacker, a two-time all-region performer and the squad's Most Valuable Runner Award winner last year, will be one of the Eagles to keep an eye on as will be junior Lukas Mees, who returns after missing the 2013 season with an injury. Senior Tyler Cooke eyes a big final year after scoring in six of his seven meets last season which saw him earn all-region kudos.